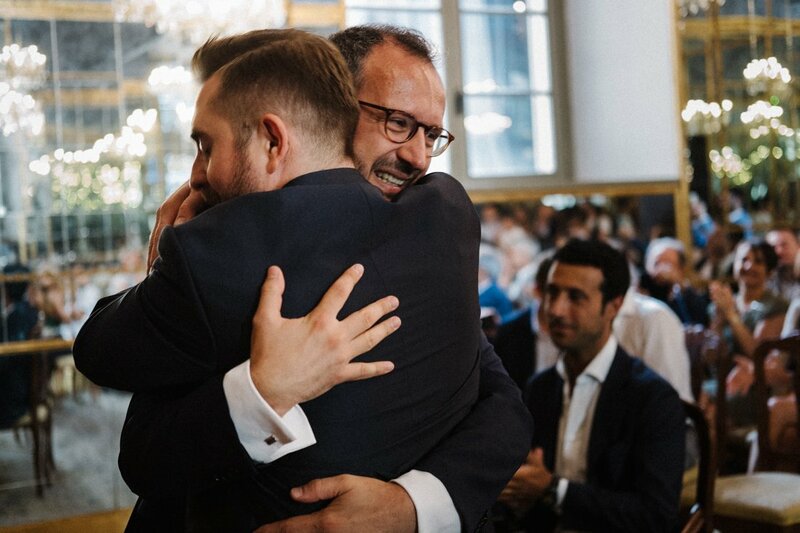 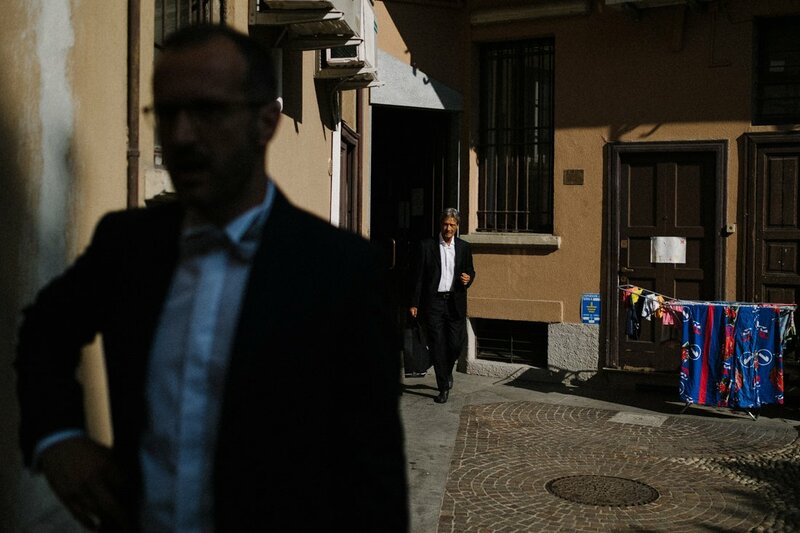 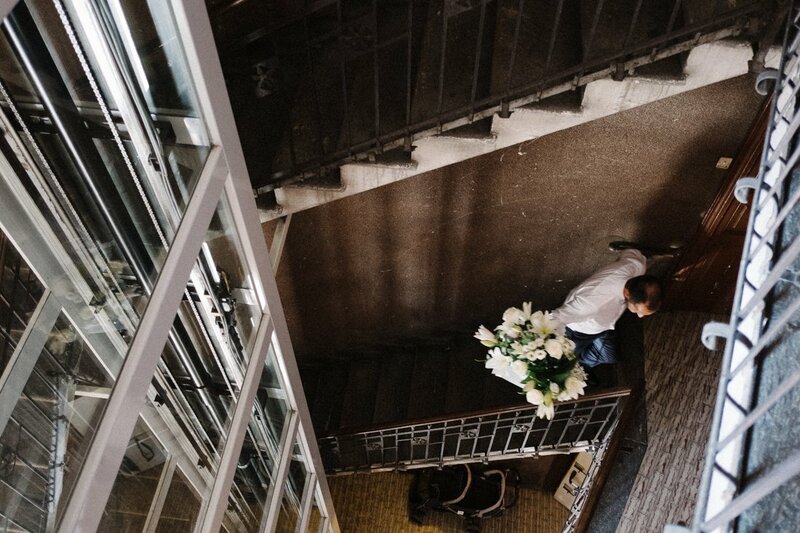 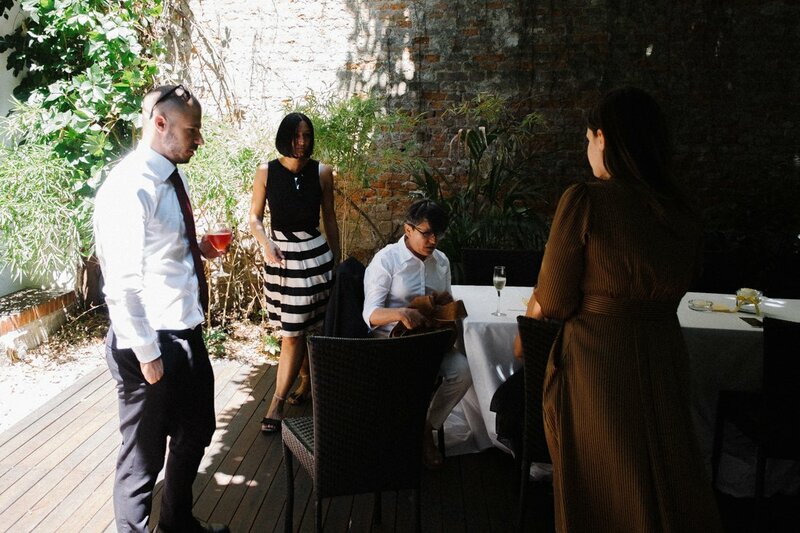 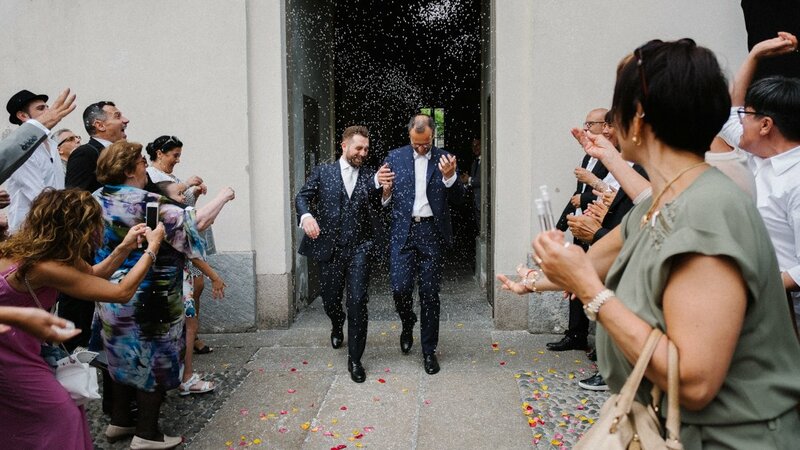 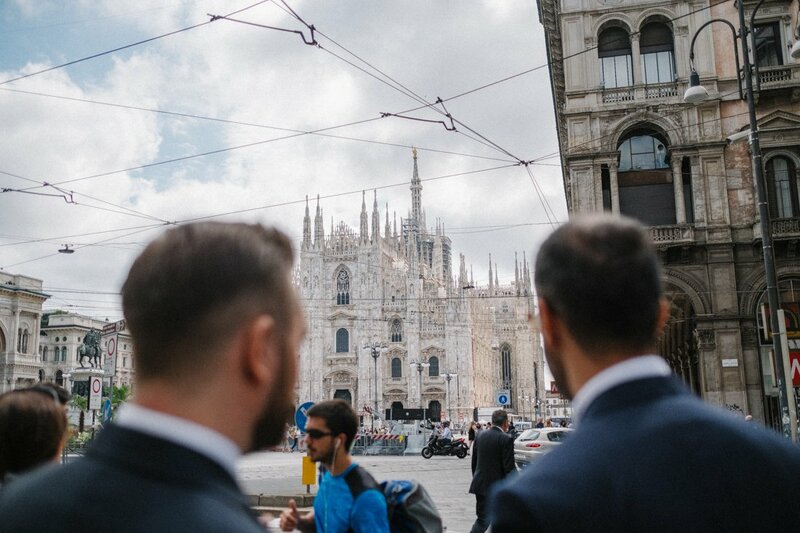 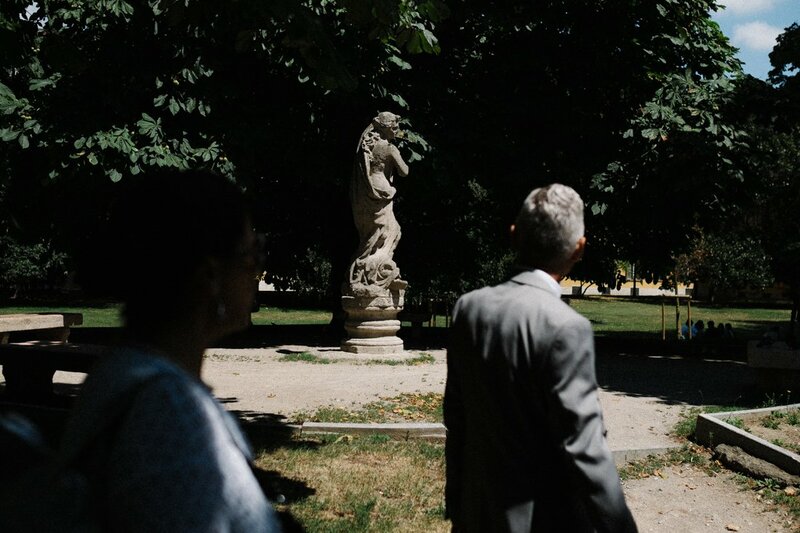 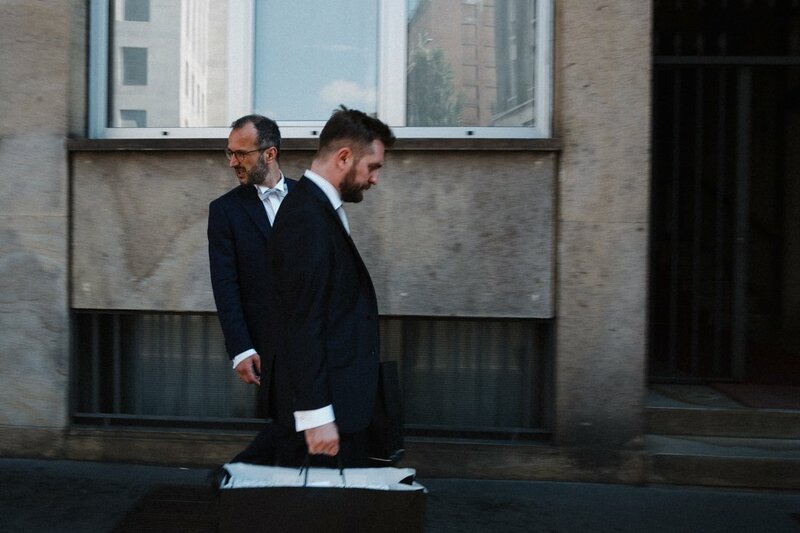 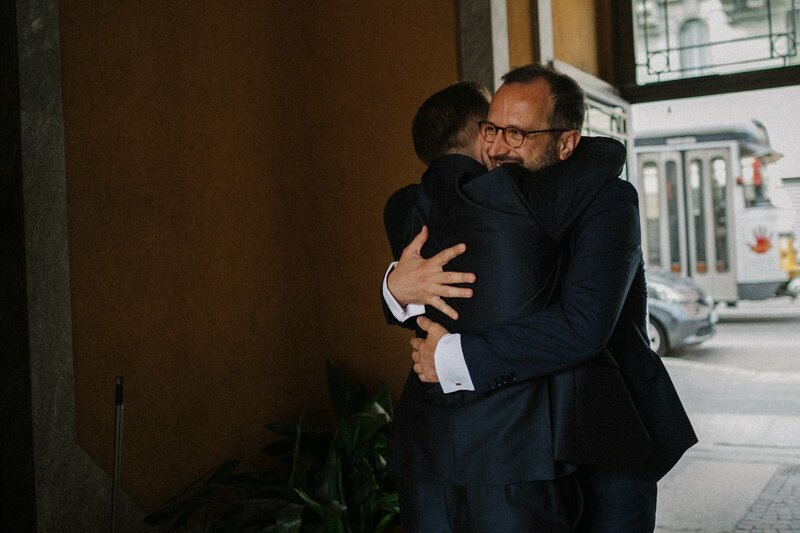 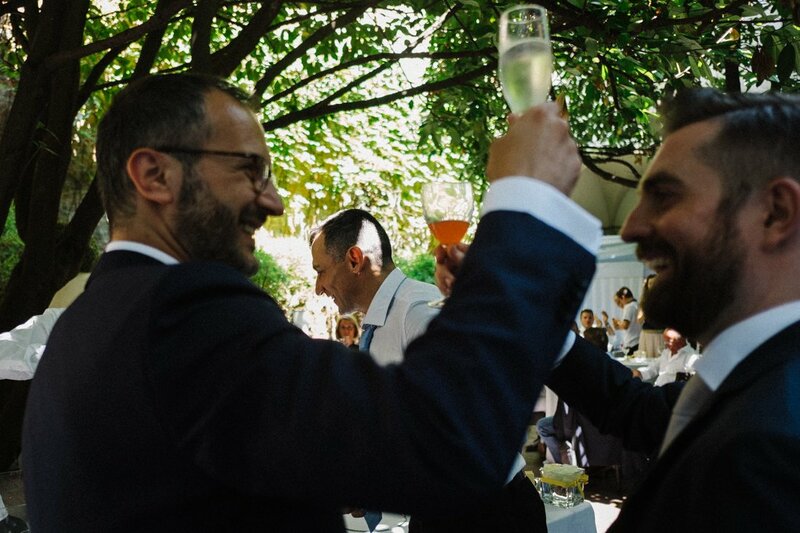 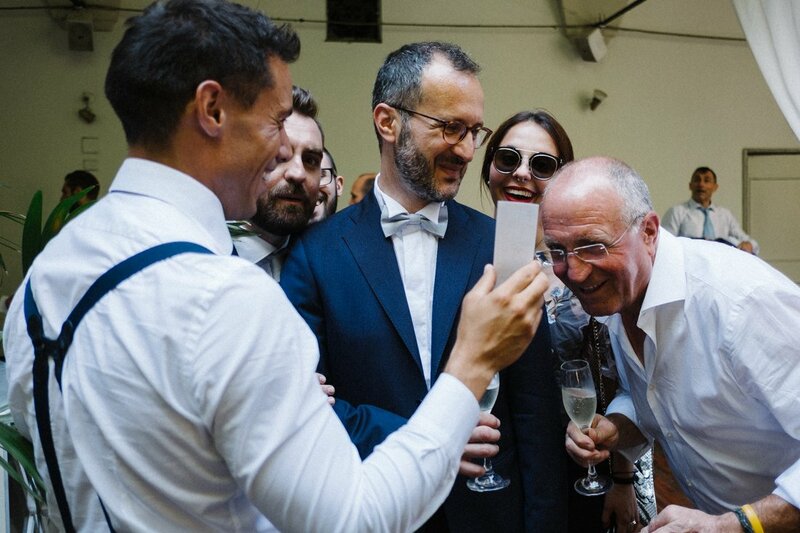 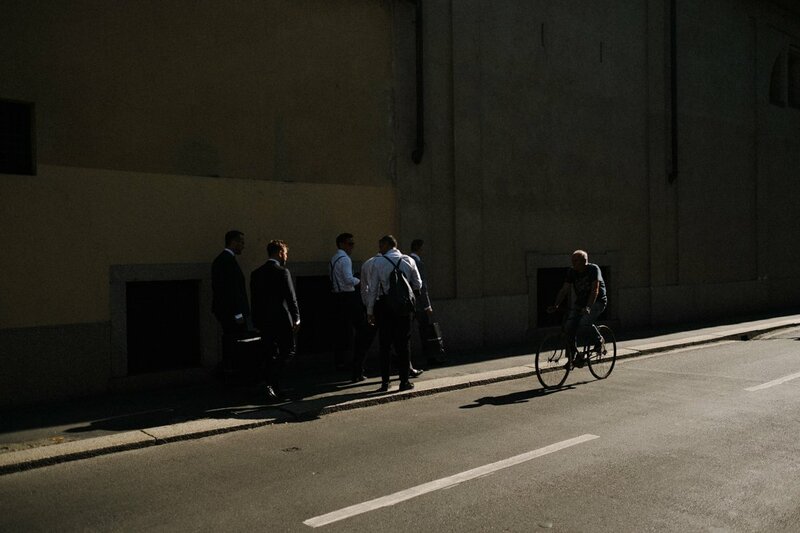 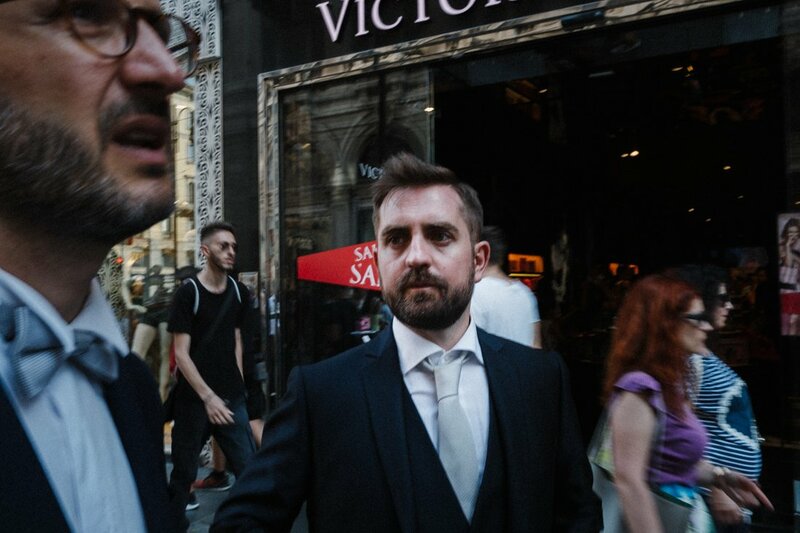 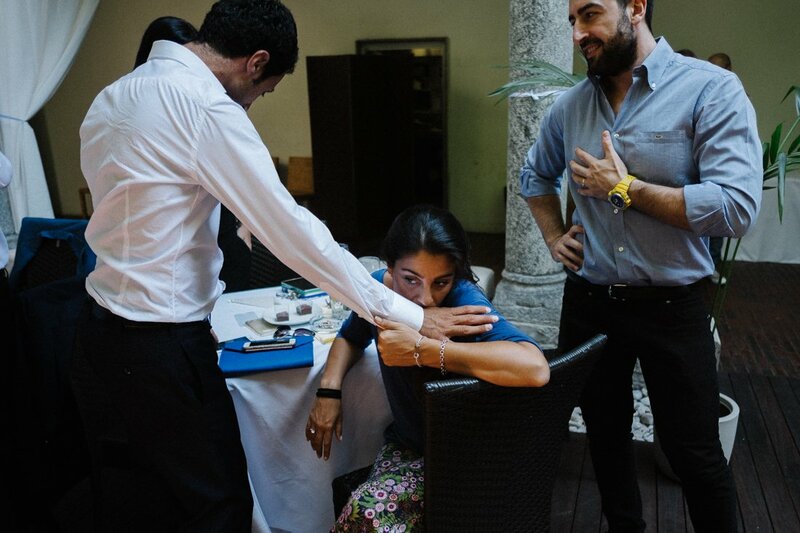 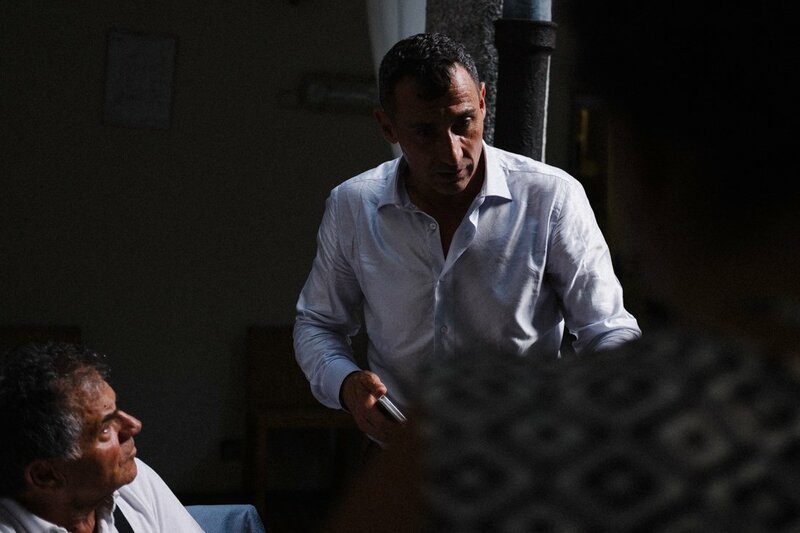 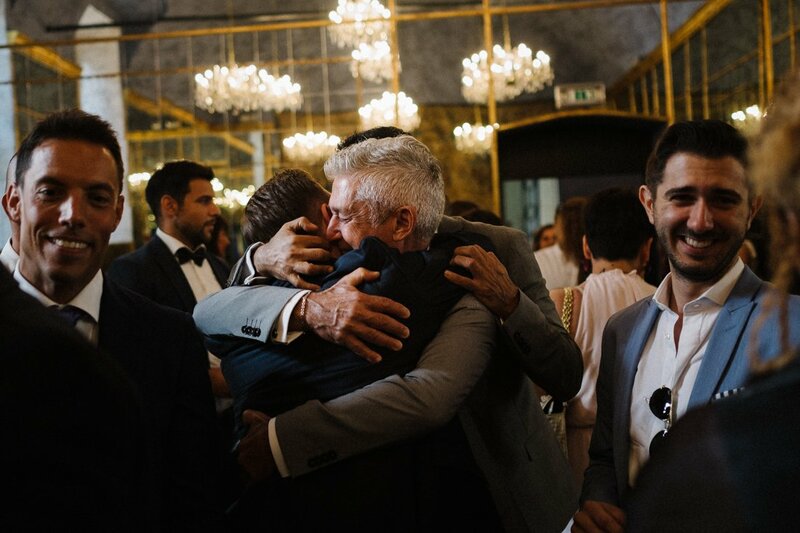 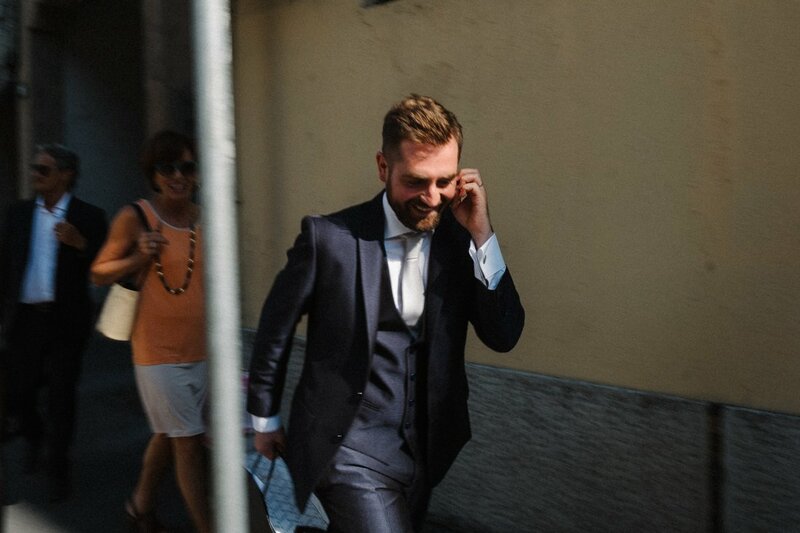 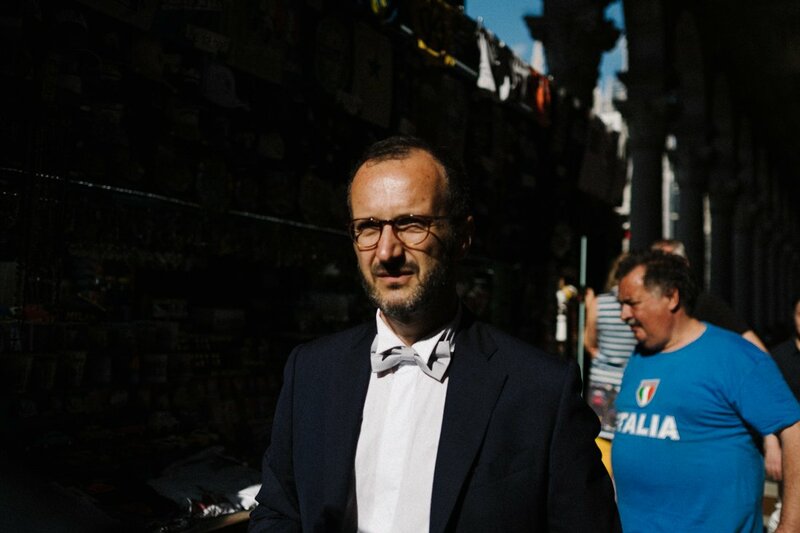 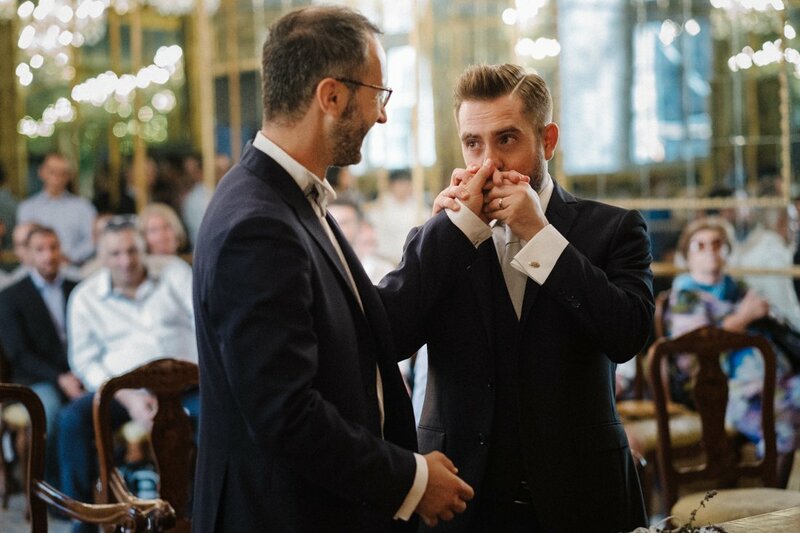 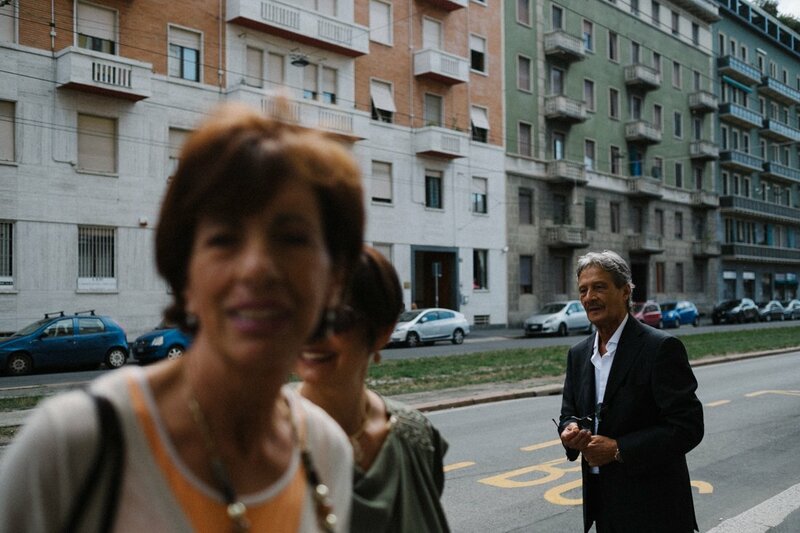 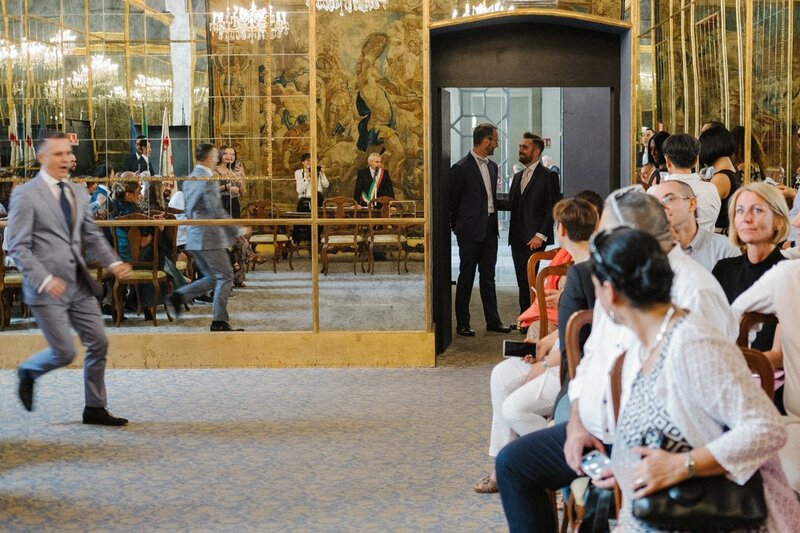 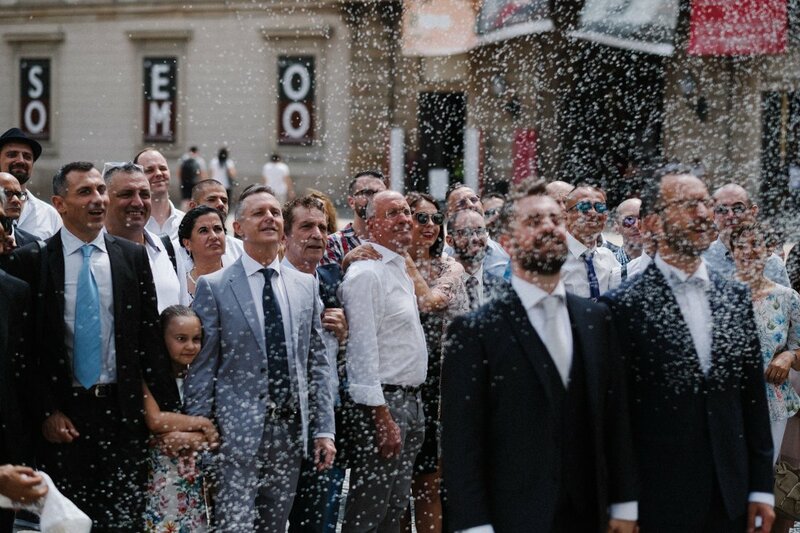 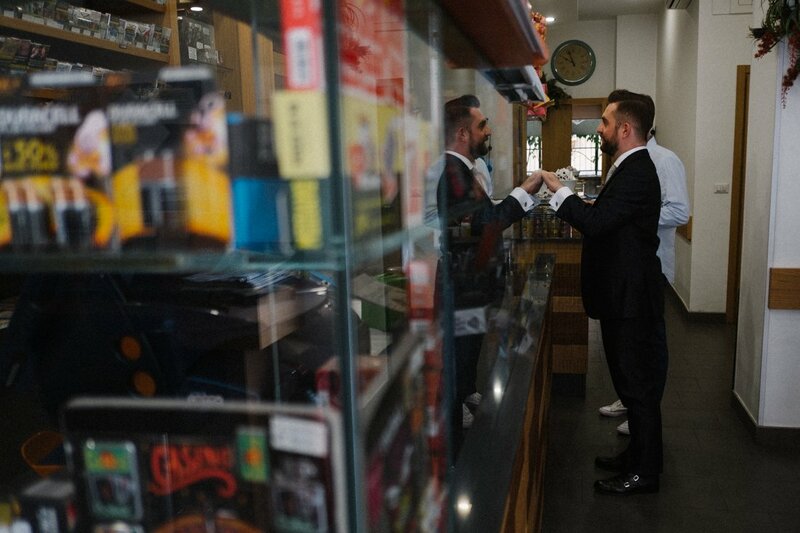 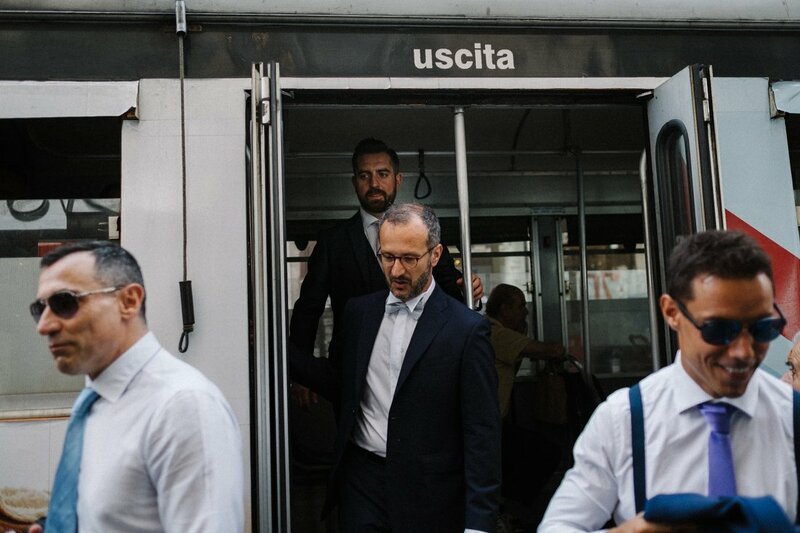 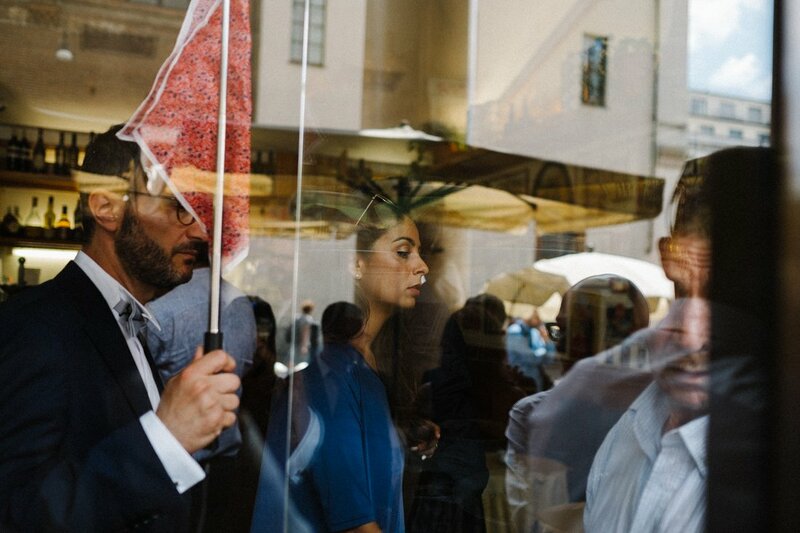 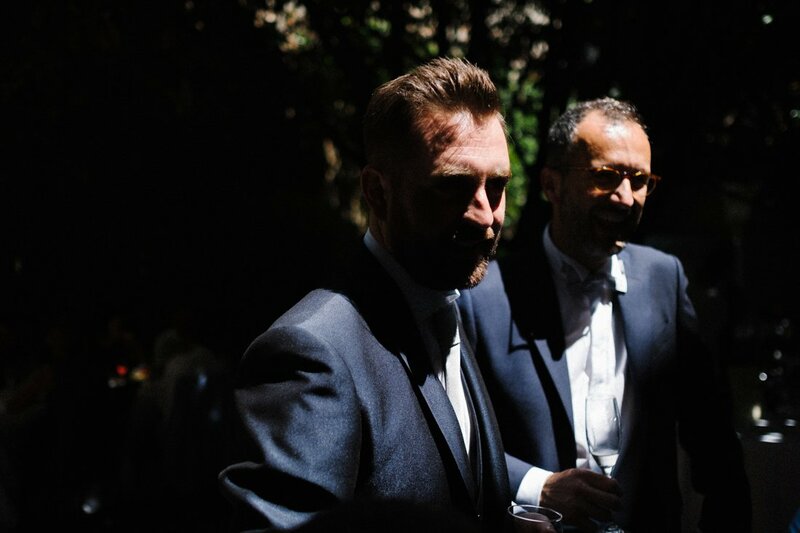 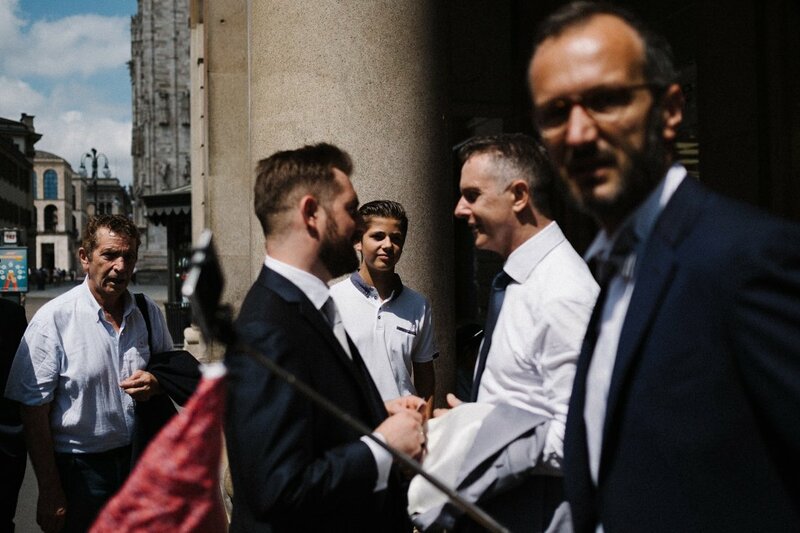 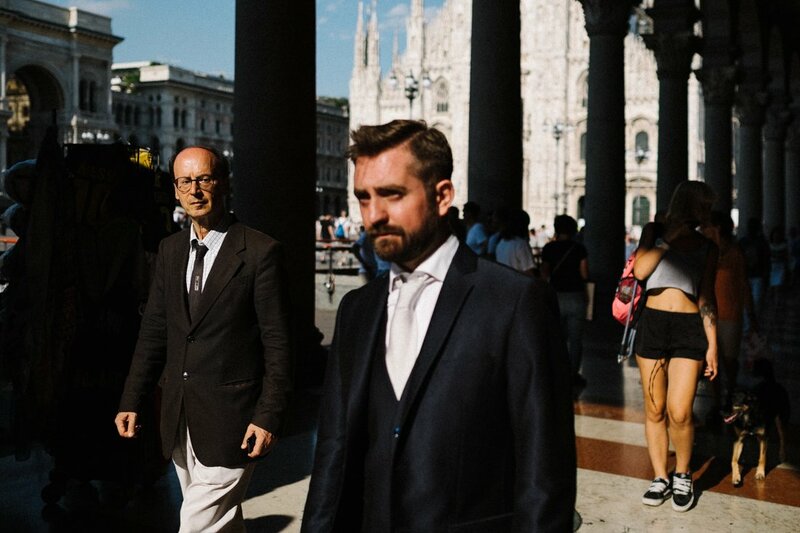 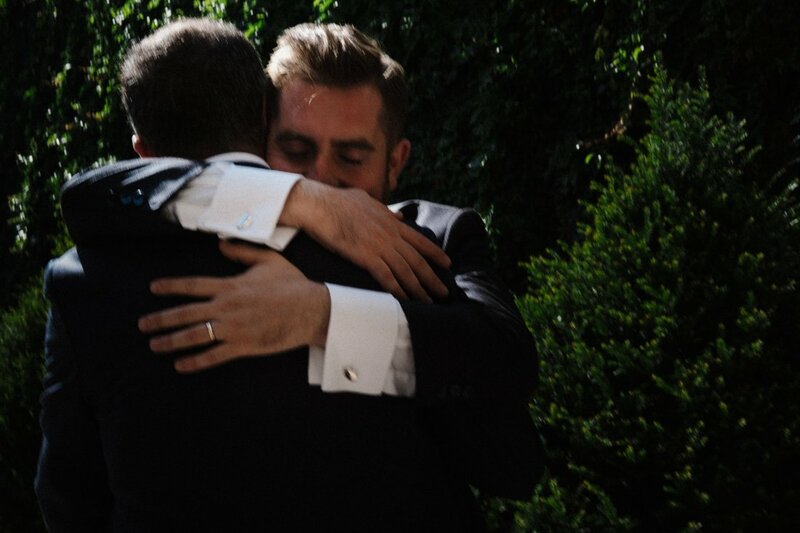 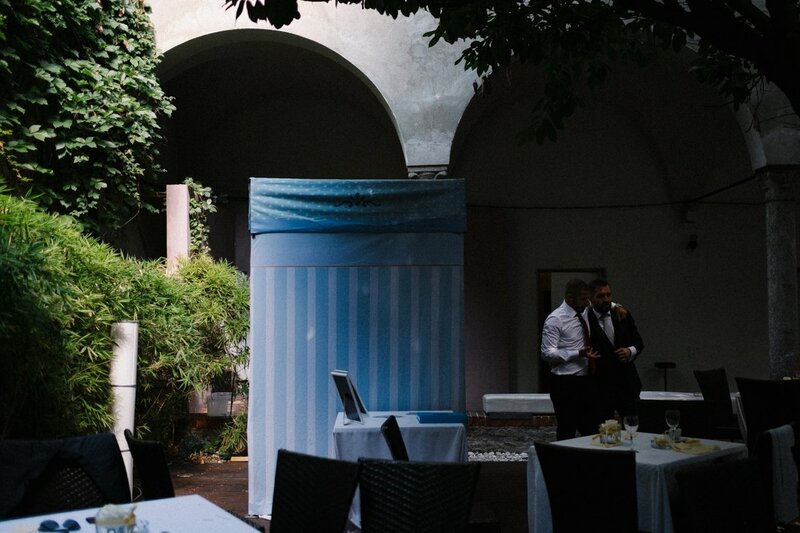 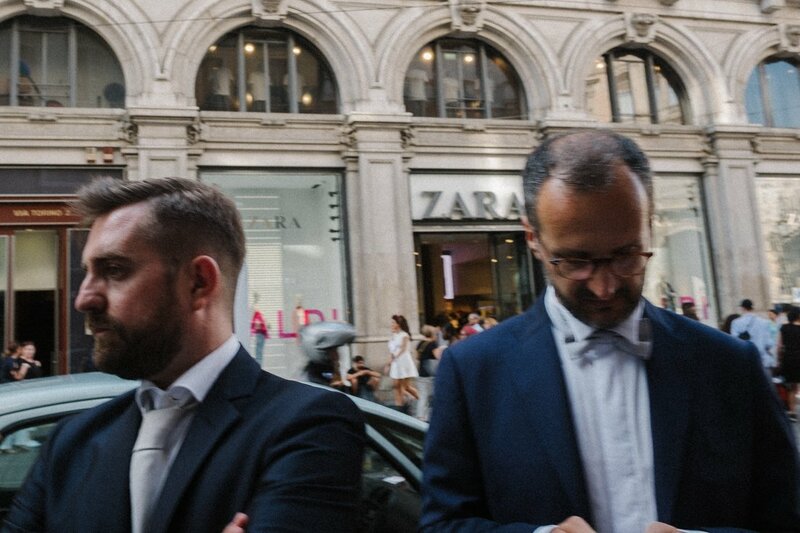 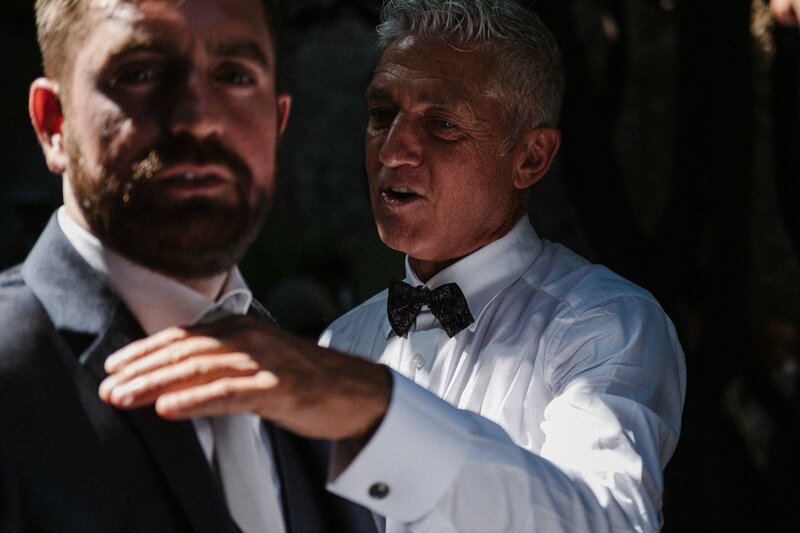 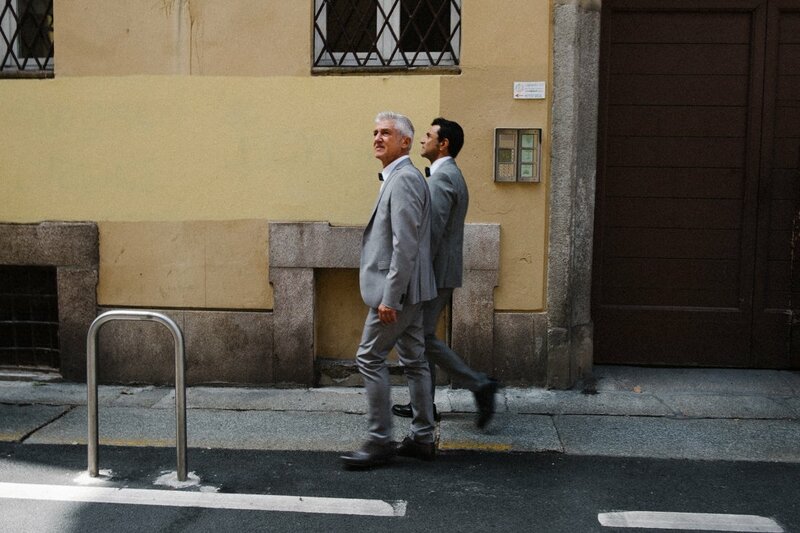 Luca & Massimo and their emotional civil wedding in Milan. 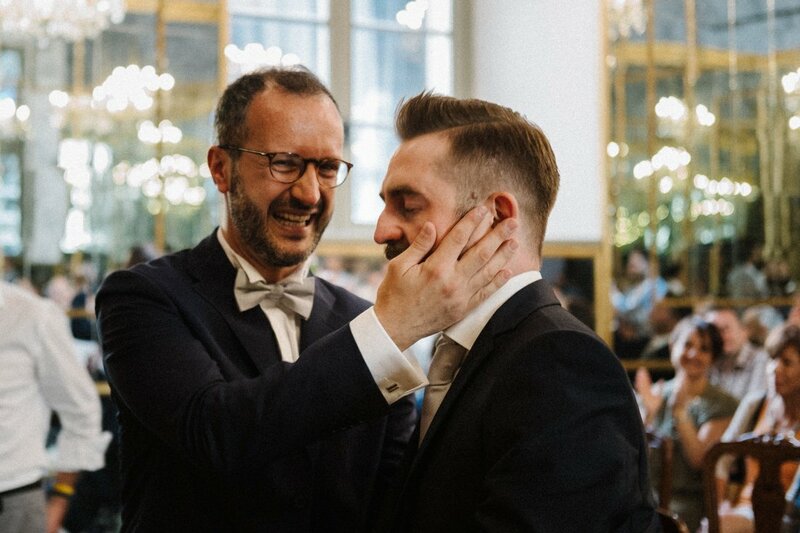 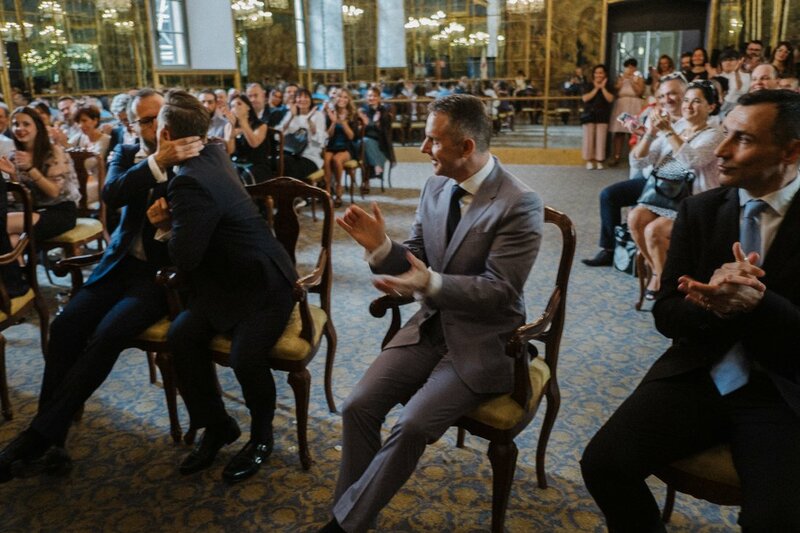 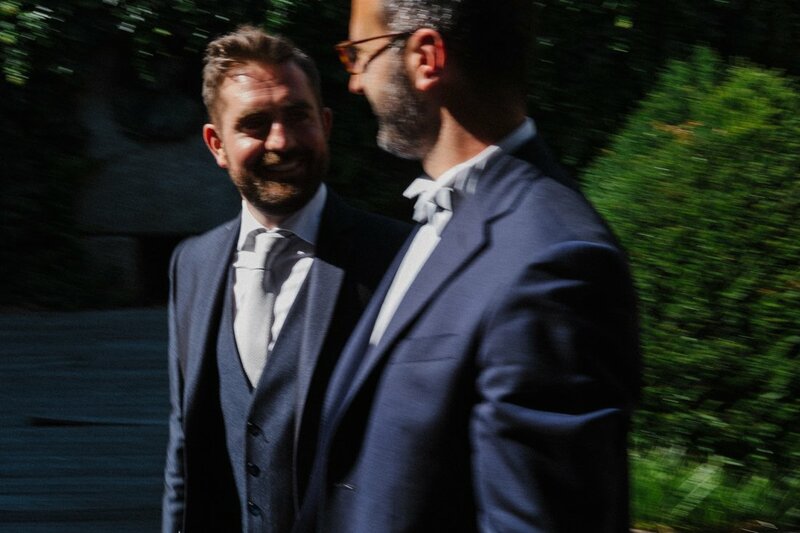 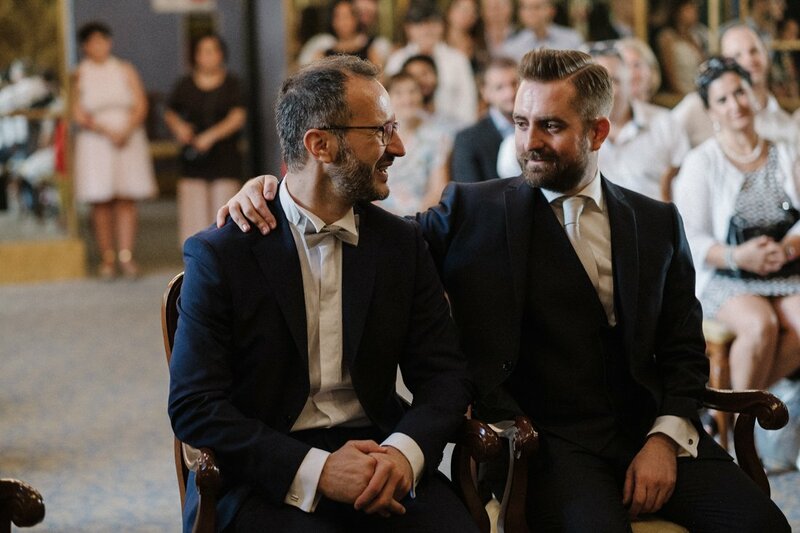 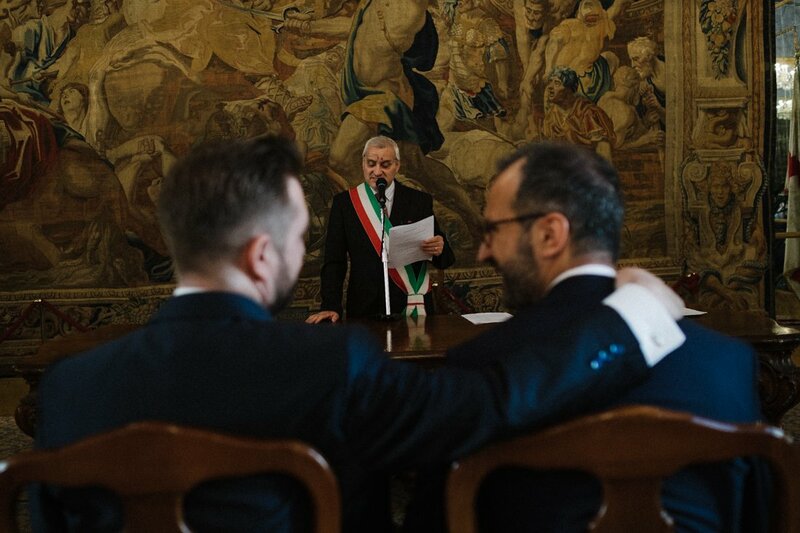 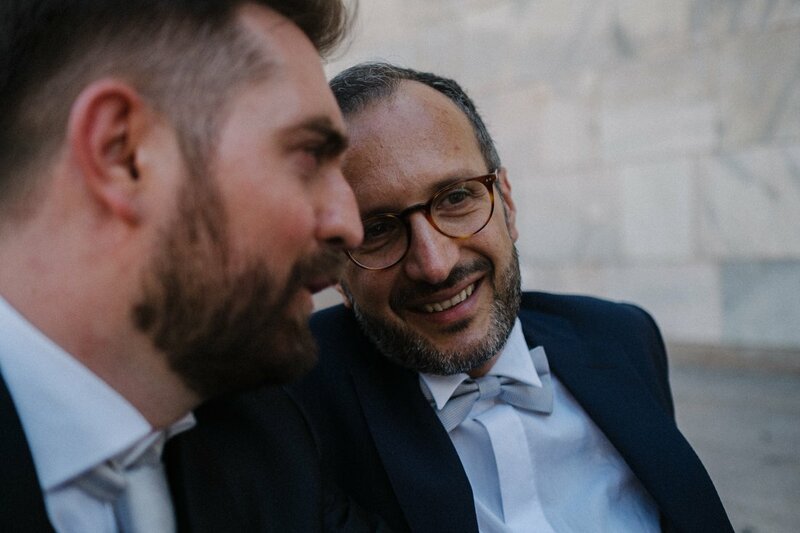 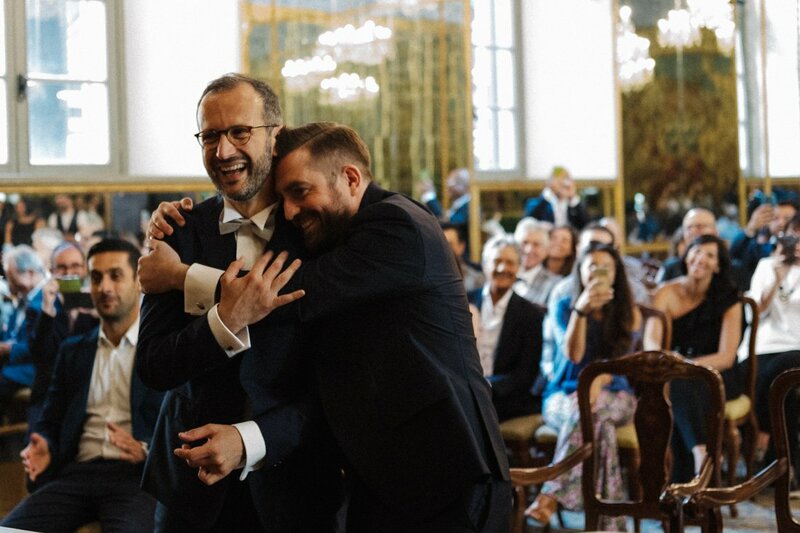 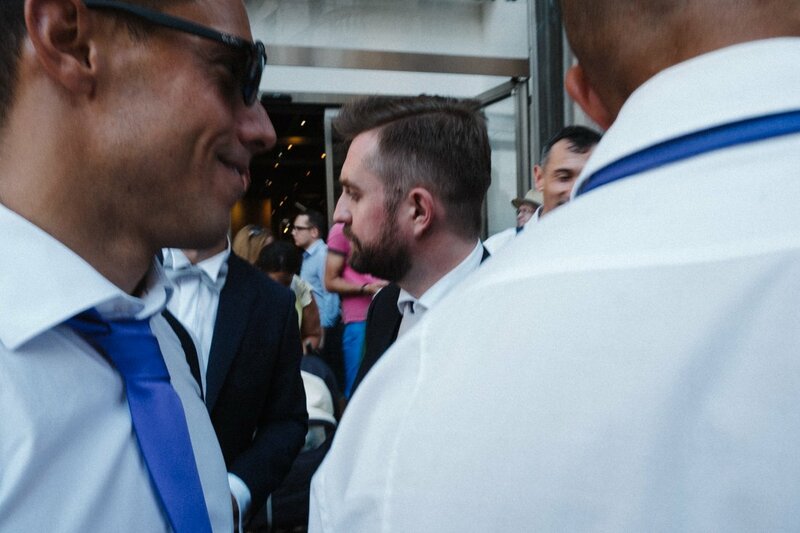 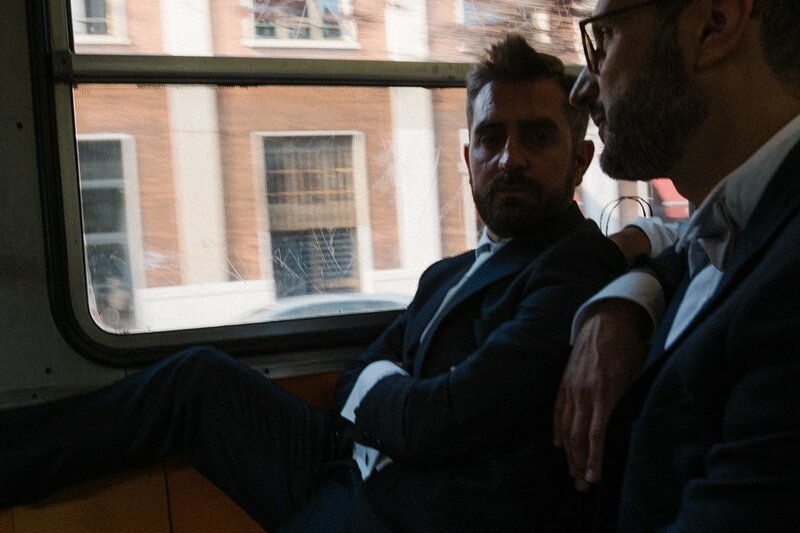 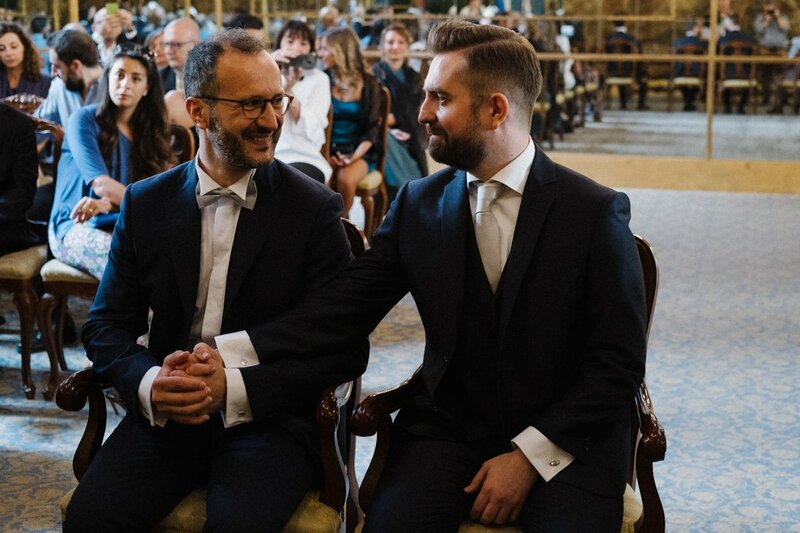 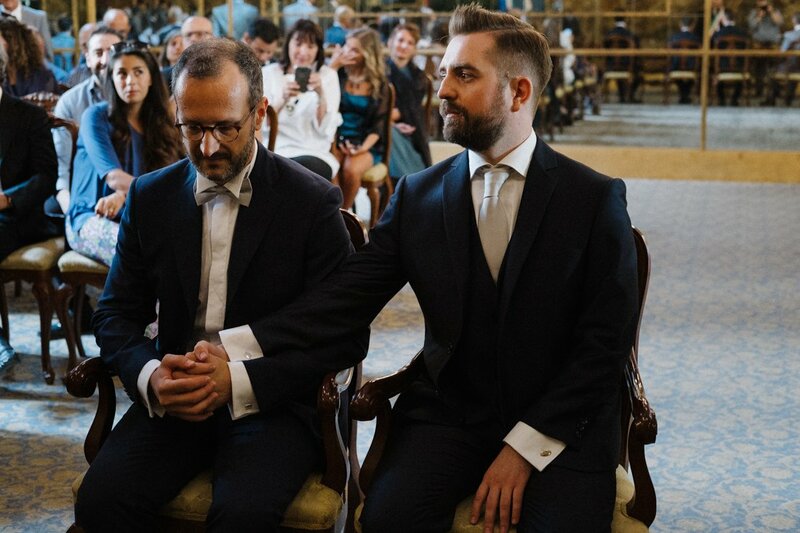 These two guys have been together for years and finally Italian law this year let them celebrate their civil union in Milan. 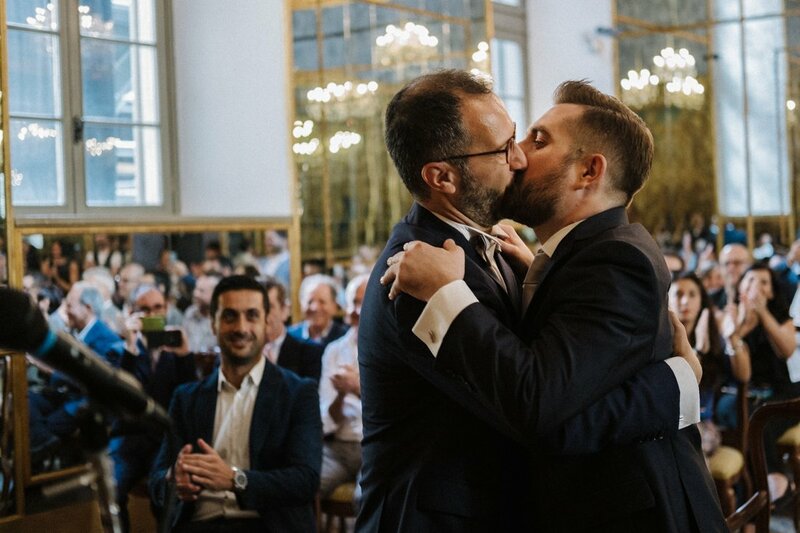 Couldn’t we expect less sentiment? 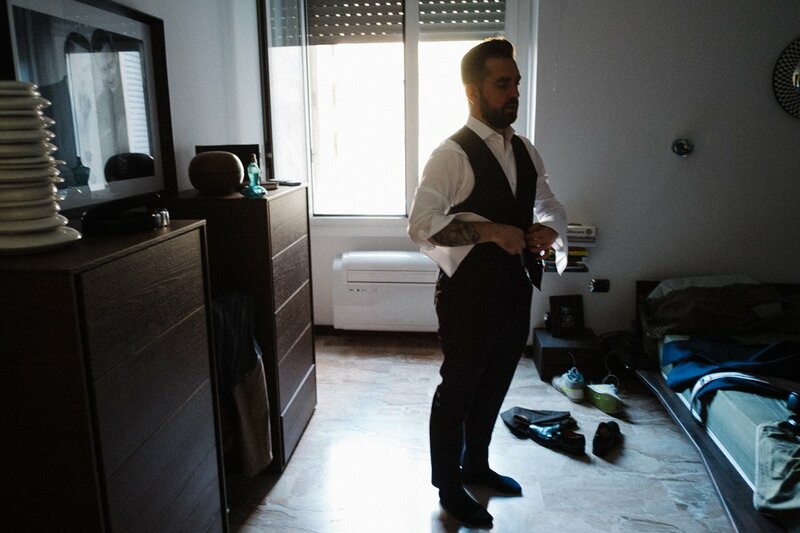 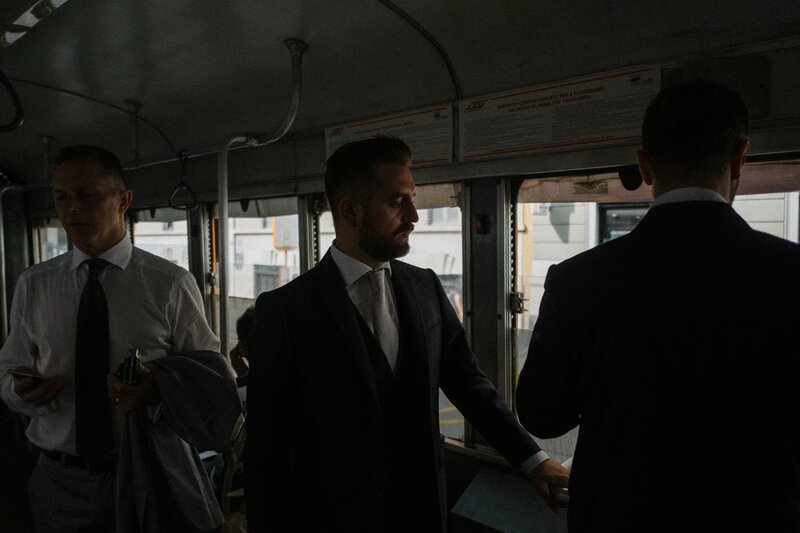 They got ready in two different houses, same road, but Massimo could’t wait to see his Luca ready for their wedding day. 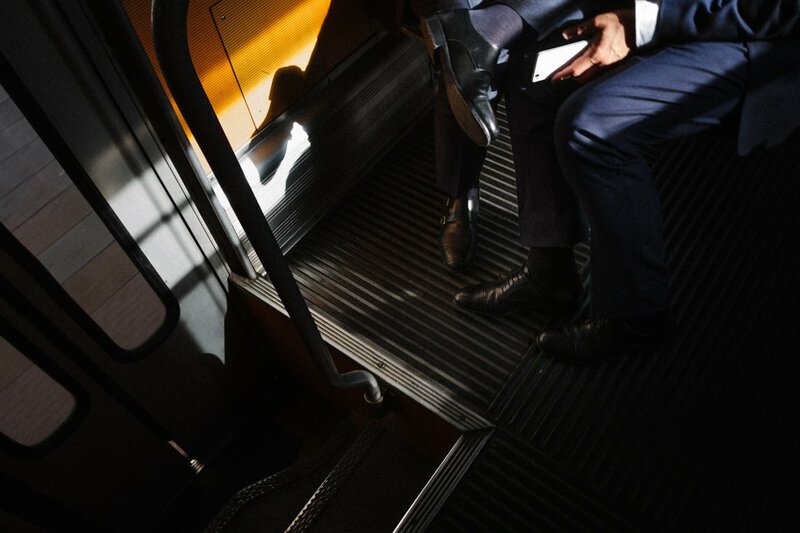 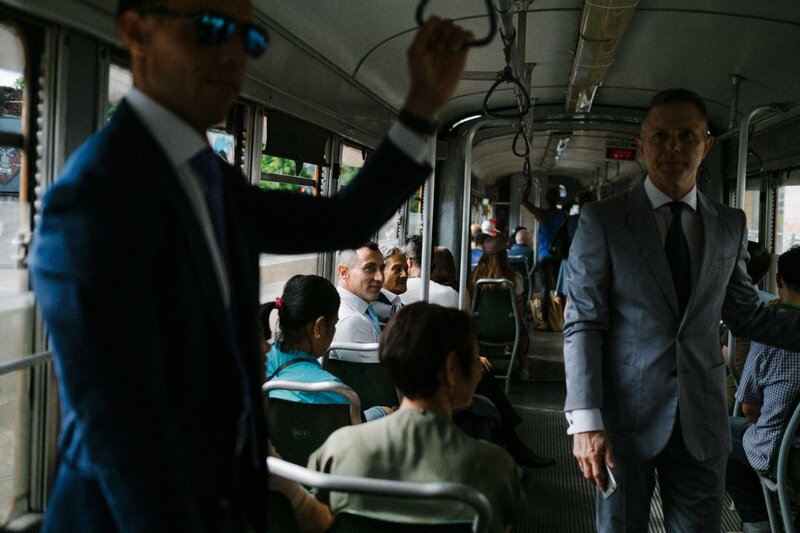 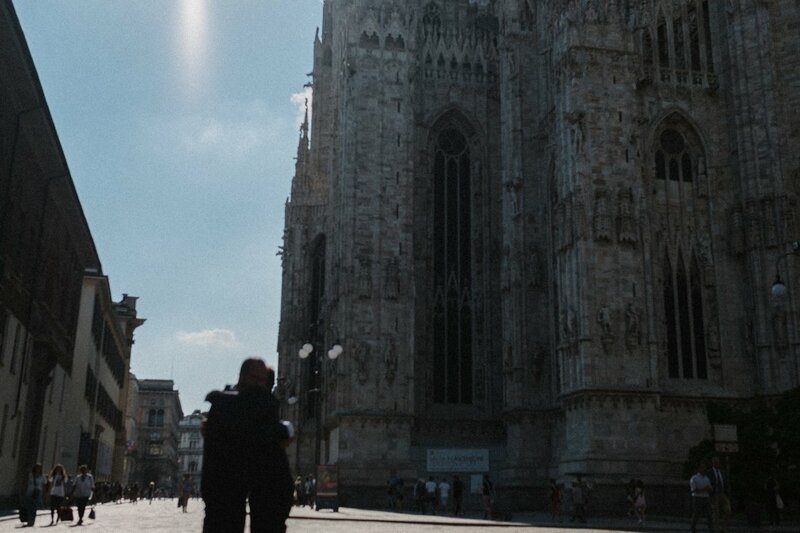 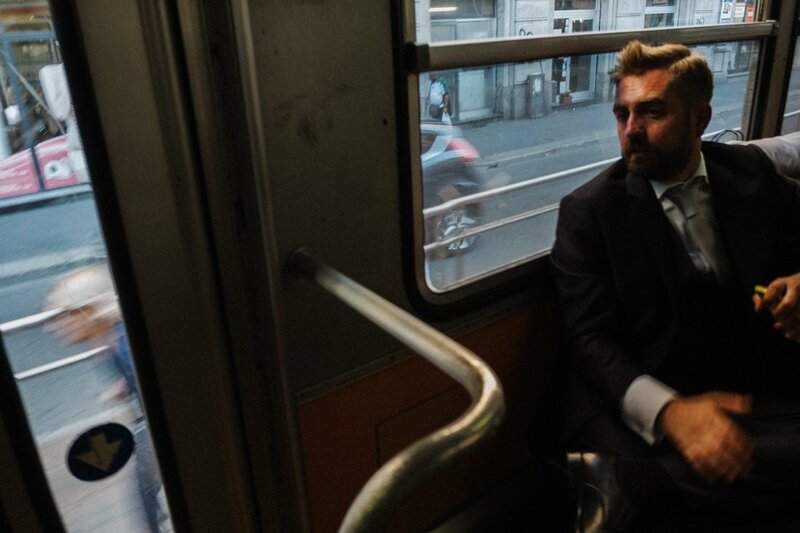 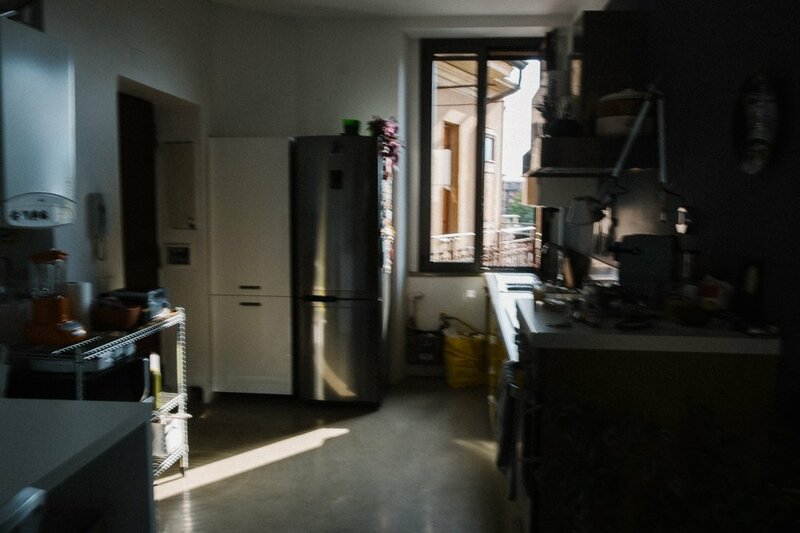 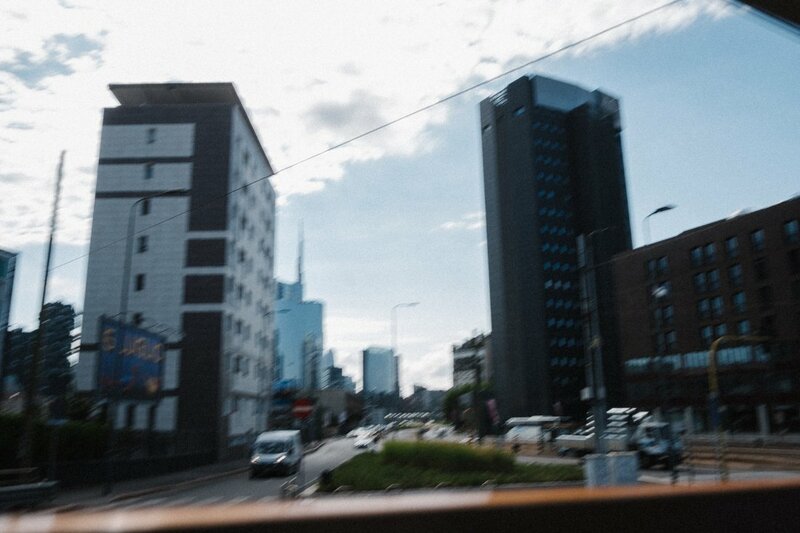 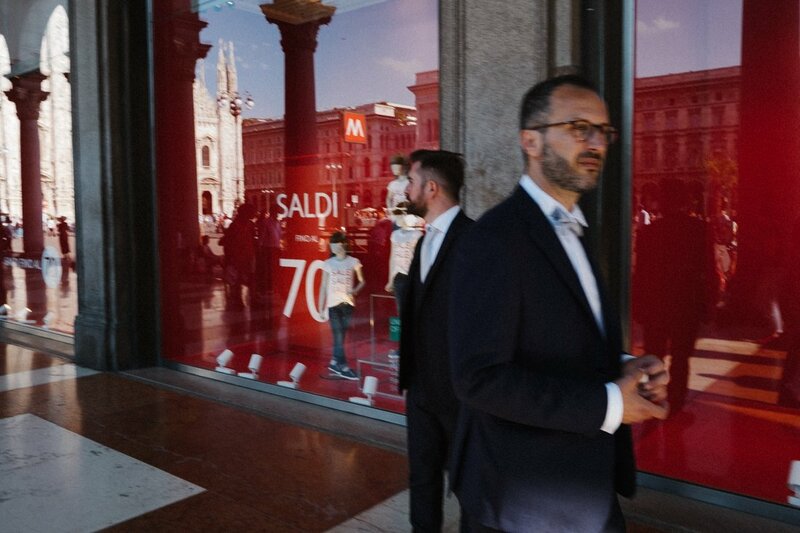 A walk in Milan, the typical old tram to get to Duomo square, excitement, strong feelings. 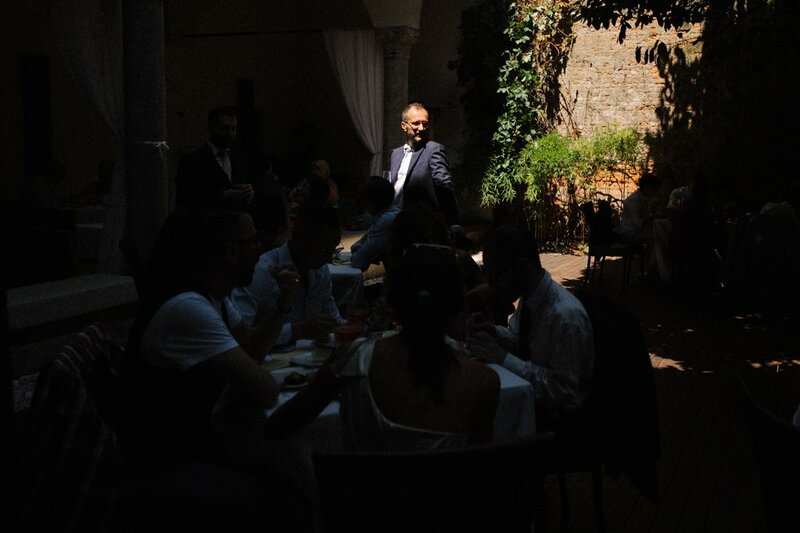 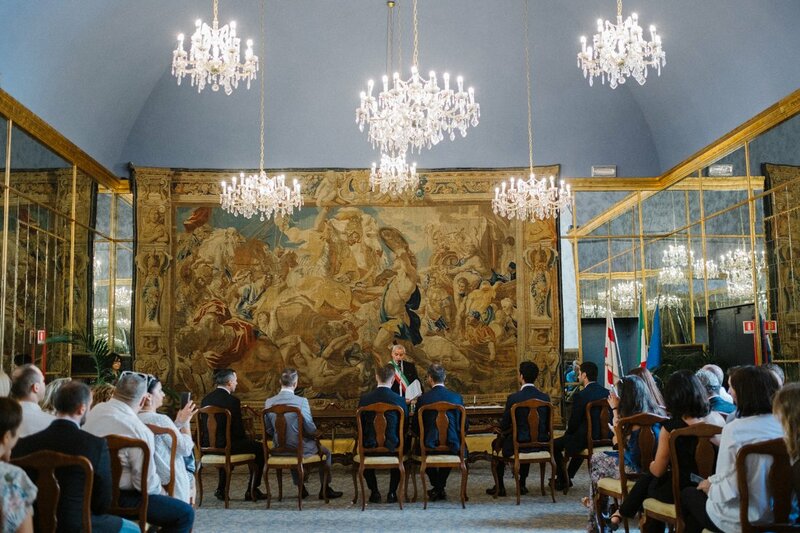 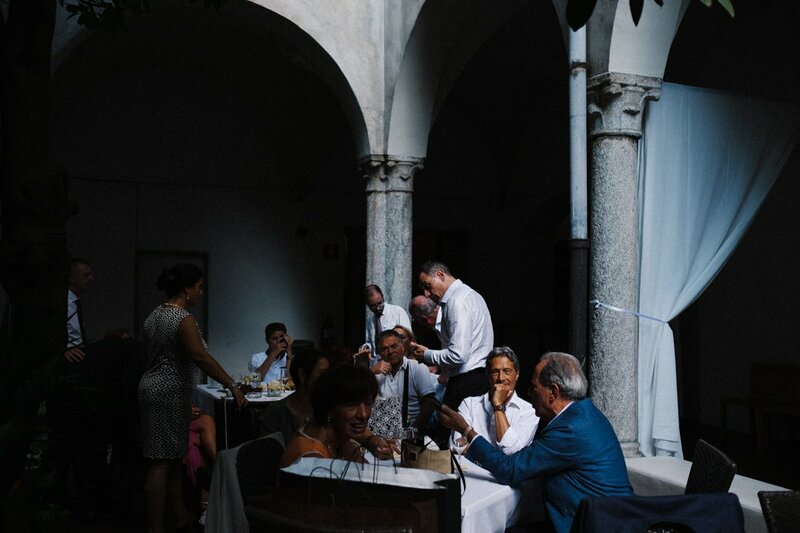 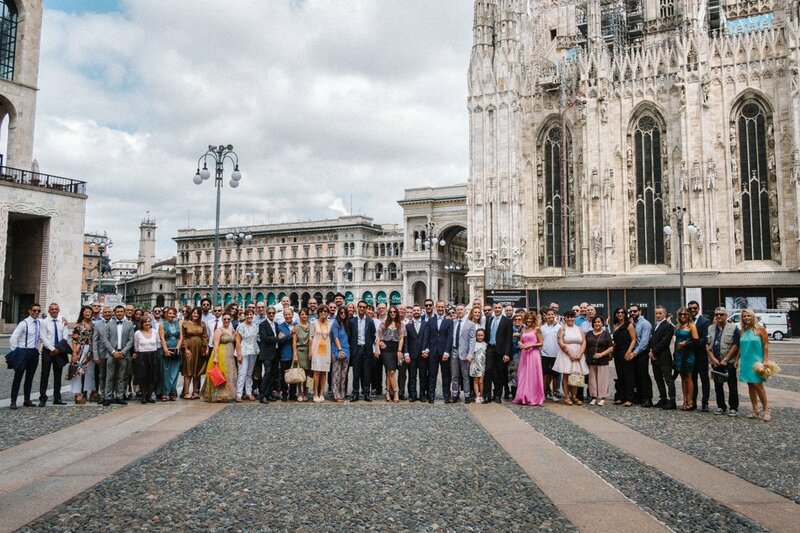 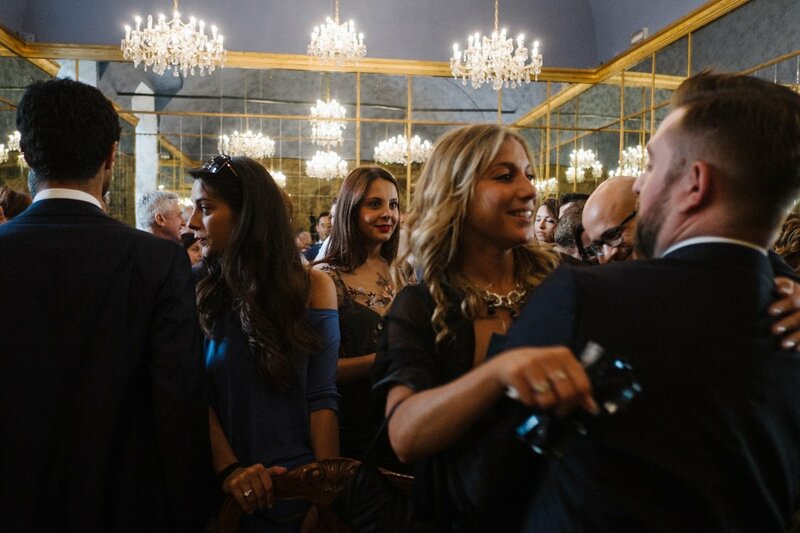 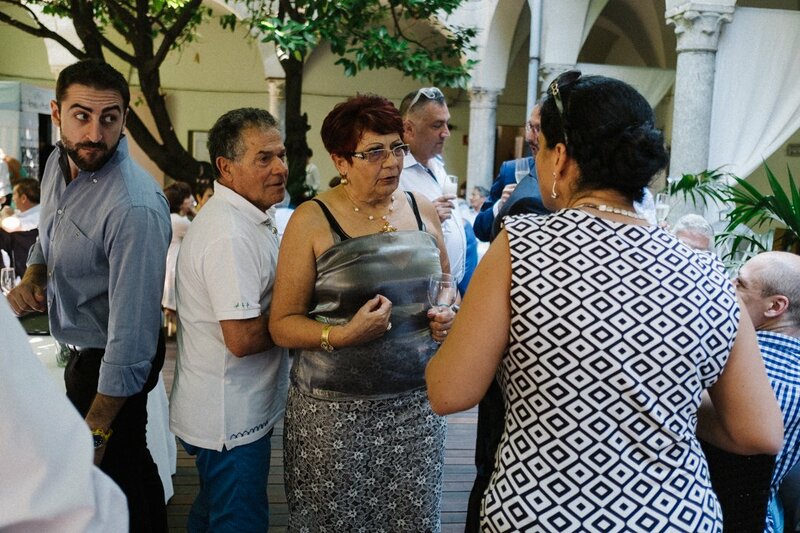 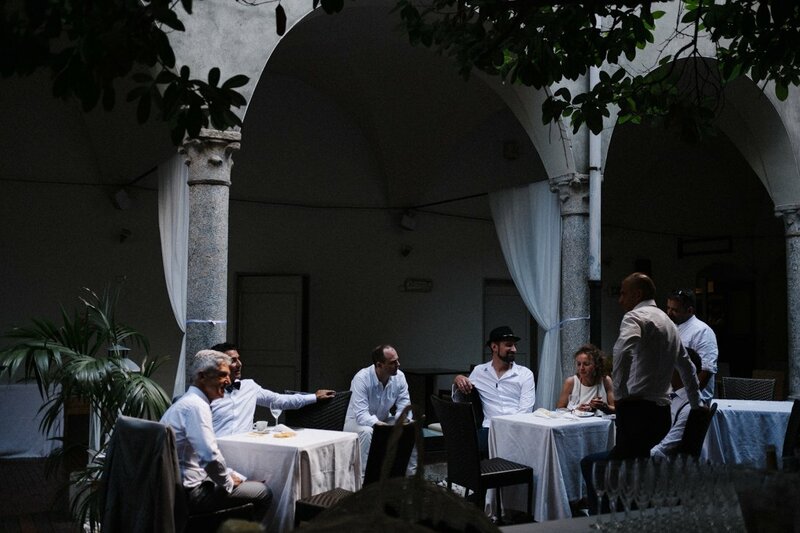 The ceremony took place in the amazing Palazzo Reale and the wedding reception at the Chiostri di San Barnaba. 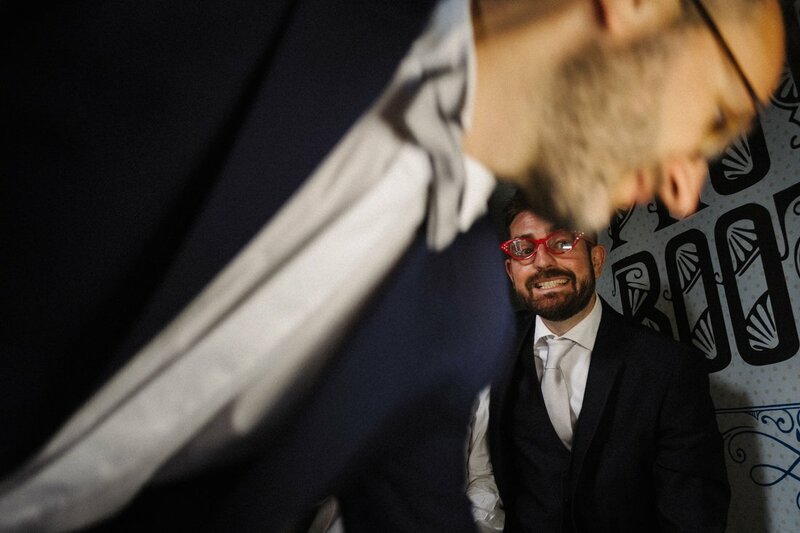 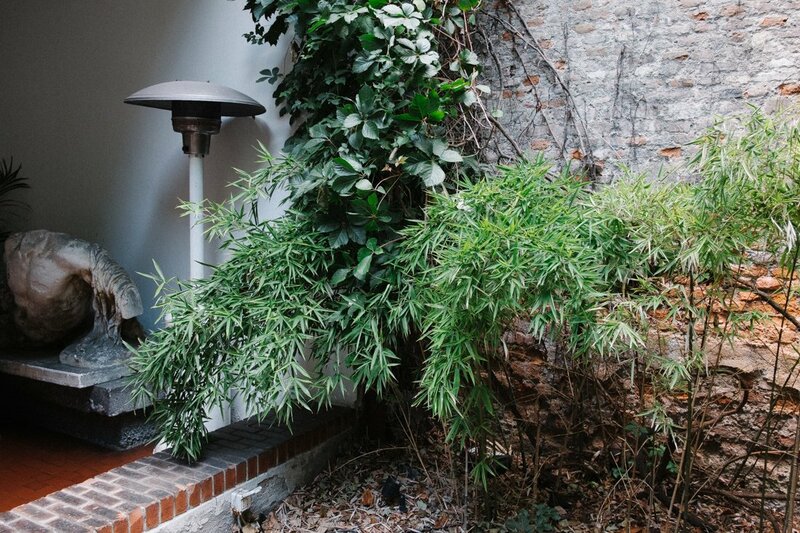 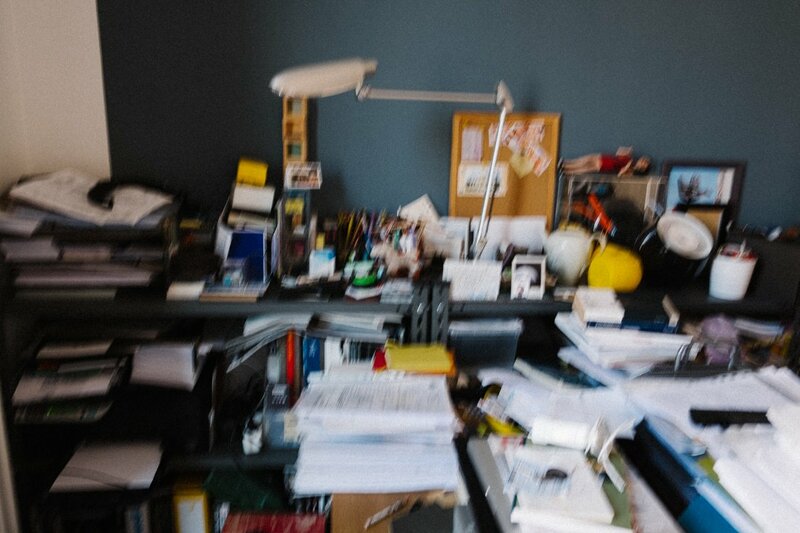 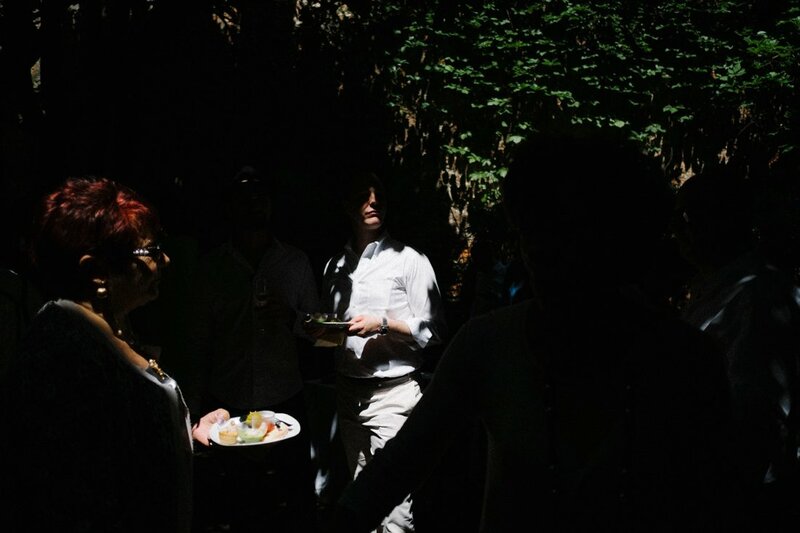 A real wedding reportage. 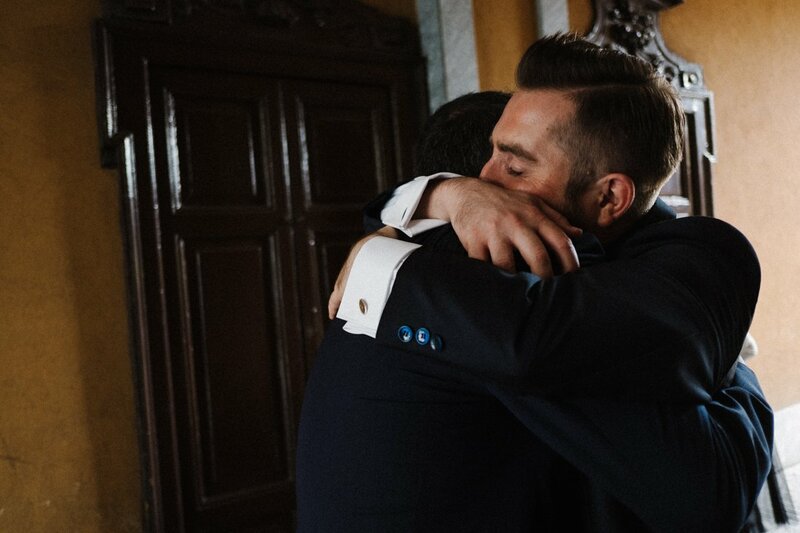 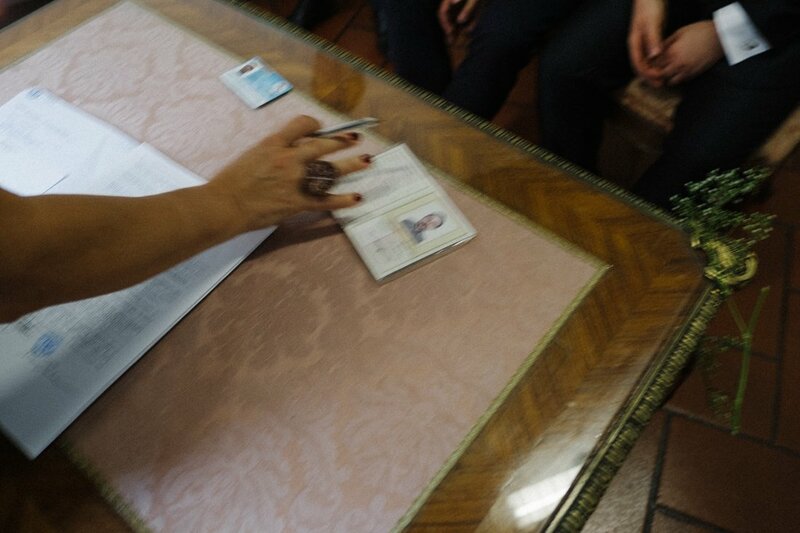 We became part of the flow, they have a way to live their relationships with their families and friends that makes you feel really part of a big family.